Andrew Holmes is a Registered Polysomnographic Technologist and corporate sleep consultant. He is the founder of Sleep Efficiency located in Ottawa and assists family physicians across the city. He is an industry leader in sleep medicine and routinely appears on CTV Morning Live as their sleep subject matter expert. He is also the sleep consultant to the Ottawa Senators where he brings his depth of sleep knowledge to the team to improve overall performance and gain a competitive edge by educating them in all areas of sleep, as it pertains to athletic performance. Today’s athletes are aware that physical conditioning, nutrition and hydration play critical roles in developing peak performance. Along with proper nutrition and exercise programs, sleep also plays a significant role in athletic performance and competitive results. Studies have shown that with extended sleep periods, athletes have improved their overall performance. Alternatively, with reduced sleep times, their performance has suffered. A sleep study was done on a men’s varsity basketball team from Stanford University investigating the effects of sleep extension over multiple weeks on specific measures of athletic performance. The investigators recorded athletes’ sleep and wake times to determine total sleep time, and once these were captured, the athletes participated in an extended sleep period where the goal was to sleep for 10 hours over a 5-7 week period. The study concluded, that their shooting accuracy, sprint times and free throw percentage had all improved significantly. When speaking at the Ottawa Senators training camp, Andrew discussed the top 5 areas that sleep impacts the athlete. These five areas are all closely knit. With improved reaction time, players are able to see and react faster as the play unfolds in front of them. The ability to react to potential threats and avoid body contact, connects to other points listed such as reduced injury rates and longer playing careers. The affects of extended and quality sleep don’t just apply to elite athletes, but to the general public as well. The average adult should be acquiring 7-9 hours of sleep, as per the National Sleep Foundation. Without adequate quality and quantity, we can negatively impact our physical, emotional and mental health. Sleep is broken down into cycles approximately 90 minutes in duration. Each cycle consists of 4 stages of sleep. Slow wave sleep, or our deep sleep, is responsible for physical recovery. Growth hormone is released during this stage, muscle and tissue regeneration take place. This is when our body recovers from a workout we have done, or an injury that has taken place. Our body physically repairs itself. Once slow wave sleep is complete, we then enter our REM sleep or rapid eye movement. This is most commonly known as our dream sleep. One of the functions of our dream sleep is mental restoration. REM sleep is also a key ingredient for memory consolidation. How much REM sleep we acquire can impact our ability to recall information the next day. There are easy steps we can take to assure that we are getting quality sleep. Having proper sleep hygiene – the term used for good sleeping habits – is one of them. The most impactful technique you can implement is going to bed and getting up at the same time every day. Our bodies crave routine, so does our sleep. Allow yourself to sleep-in a little bit on weekends, but nothing more than an extra hour. If we sleep-in too late on weekends, it will affect our ability to fall asleep Sunday night which could potentially cause a sleep debt to start of your Monday morning. Having proper sleep routines will help create healthy waking hours. Treat sleep like an investment: the more you put into it, the more you will get out of it. 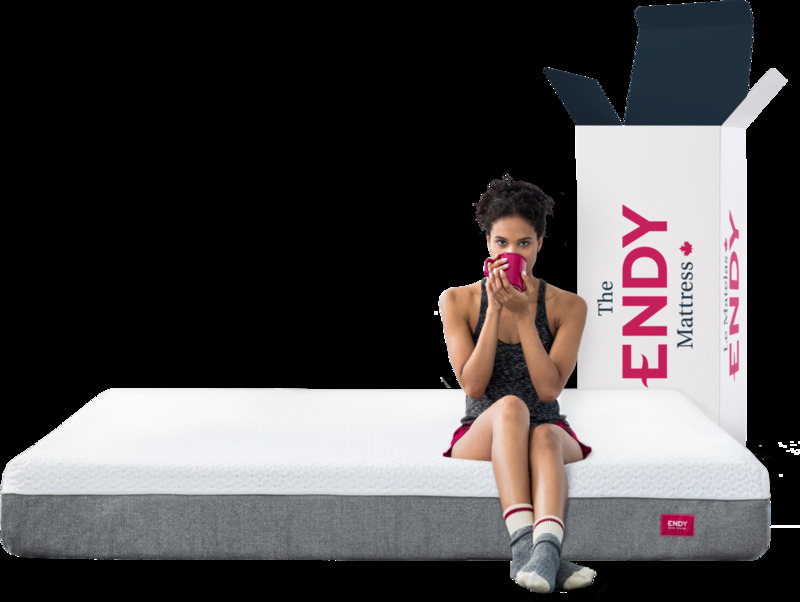 These Ottawa Senators are putting their Endy Mattresses to the test and sleeping better than ever.